“They [the parents] caused the deaths of their sons and they must do teshuva for their actions,” the rabbi said bluntly. This article was originally published in the Summer 2014 issue of Reform Judaism Magazine. 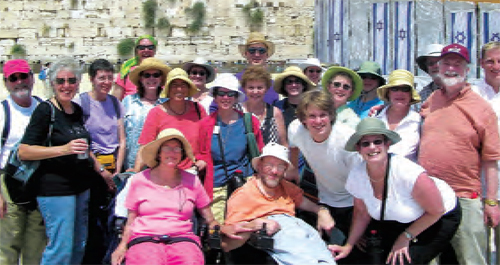 accessible rooms enabled Neil and Denise Jacobson (front, center) to join the congregational trip. Congregants at Temple Beth El in Hillsborough, New Jersey were amazed when Grace Amodeo expertly read Torah at last year’s Yom Kippur services. Many of them showered her with praise. Although pleased to receive the attention, the 16-year-old high school student, who has been blind since birth, didn’t quite understand what the big deal was. “I thought to myself, ‘I guess I did something right. I hope they ask me to read again next year,’” she says. The fact that, despite her disability, Amodeo can read Torah as well—or better—than her sighted peers is a testament to Temple Beth El’s longstanding policy of including people with disabilities. Now, thanks to the Union’s partnership with the Ruderman Family Foundation, many more URJ congregations will focus on ensuring participation of people with disabilities in synagogue life (see “Ruderman Synagogue Inclusion Initiative,” below). Synagogues can also learn from congregational initiatives that have already made Jewish communities more inclusive. “Shtisel,” the Israeli television drama about a Haredi family in Jerusalem, is a breakout hit not only in Israel, but now also internationally. It was announced this week that foreign broadcast and distribution rights for the series have been acquired by Pretty Pictures in France and Axess TV in Sweden. The deal was carried out on behalf of the Israeli production by Dori Media and Go2Films. “Shtisel” — which won 10 awards at the 2013 Israeli Television Academy Awards — is being shown this week as part of the 27th annual FIPA International Festival of Audiovisual Programs in Biarritz, France. In March, it will begin a tour of Jewish film festivals, beginning with the Washington Jewish Film Festival in early March. 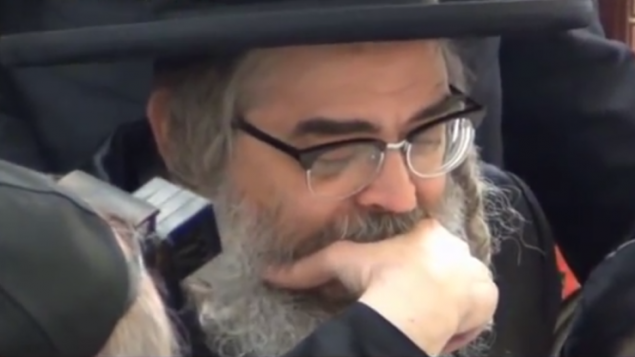 The series, which portrays Haredi life in great detail, has struck a chord with viewers of all types of religious backgrounds. One secular Jewish viewer told the Forward last year that he was drawn to “Shtisel” because of the universal sensibilities it highlights despite its extremely particular setting. “The Haredim are portrayed as people with all the emotional struggles and difficulties as their secular counterparts,” he said. Click here to read more and watch the new extended trailer for the series (with English subtitles).